You are here:Home > Microbe Mayhem! 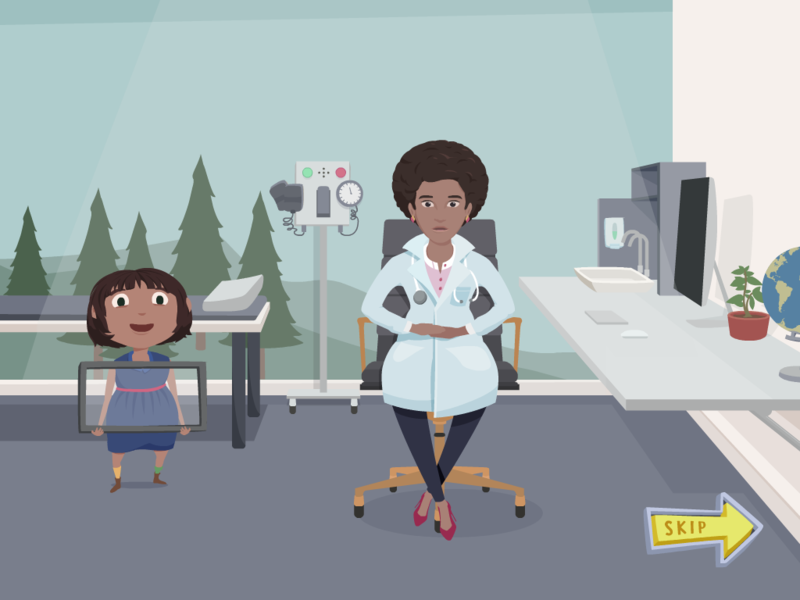 Dr Bug needs your help to keep her patients healthy! Fight off the bad microbes that make the children ill by using the correct treatment. Antibiotics kill bad bacteria in your body. But be careful, because they also kill good bacteria! 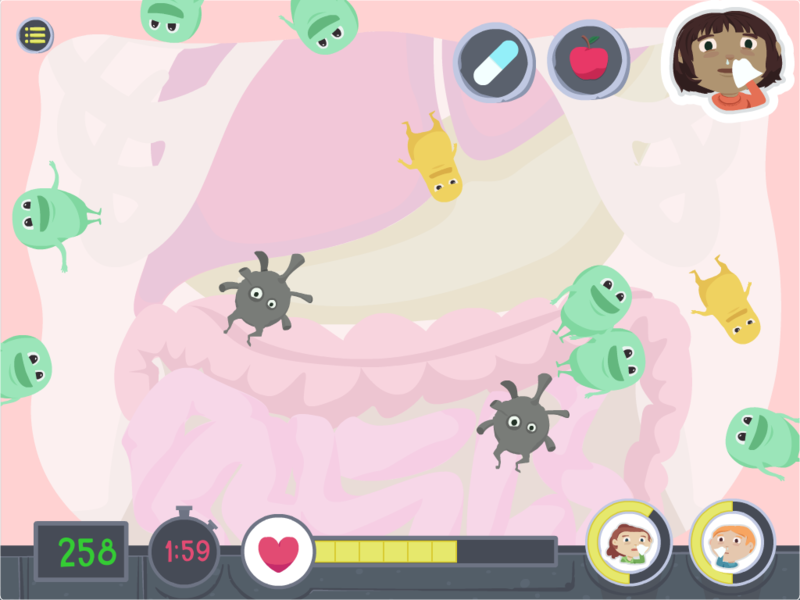 Antibiotics are no match for viruses, so in the game you rely on the body’s defences, white blood cells, to beat viruses. Eating healthy food, like apples, can help to boost your body’s defences. When bad bacteria become resistant to antibiotics, you may be in trouble! You have to rely on your body to defend itself against these bad ‘superbugs’. 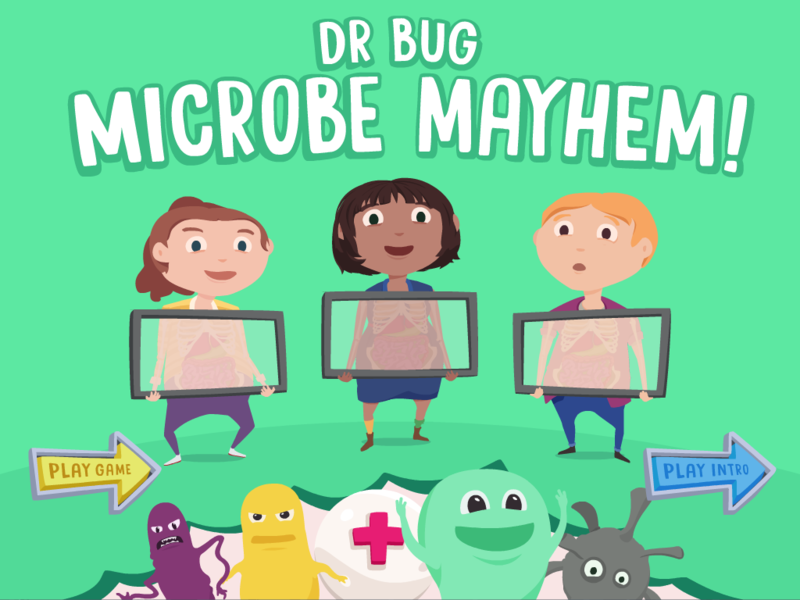 Help Dr Bug to bust the bad bugs and create some microbe mayhem! Please be aware that actions taken in the game do not fully reflect the situation in the real world. A healthy lifestyle and a balanced diet will support your health, but should not be relied on to manage bacterial or viral infections. Always seek professional medical advice if you have questions about a medical condition. 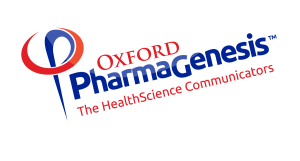 Oxford PharmaGenesis and Global Initiative assume no responsibility for any treatment decisions made based on the contents of the game Dr Bug: Microbe Mayhem! and any associated materials.